When we wanted to sell our house in Delray Beach Laura and her team helped us to do that fast and in an easy process. She was highly responsive throughout the whole time and showed great negotiation skills. I liked her attitude towards our family. She closed the deal in just 3 weeks and we were able to move on fast thanks to her expertise. 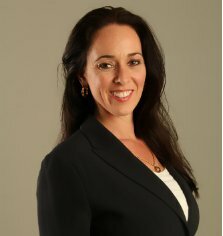 She is a great real estate professional that can be trusted with buying or selling a property in Boca/Delray. © Copyright 2016 Laura Derrickson. All rights reserved.